Klaus Zellmer led the store revamp. 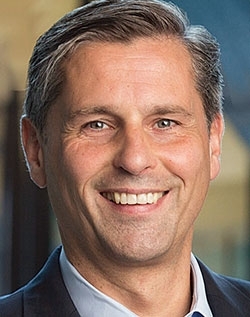 Porsche Cars North America CEO Klaus Zellmer had a transformative effect on the brand's U.S. footprint years before he was appointed to the sales unit's top spot in October 2015. Nearly 20 years ago, shortly after Zellmer joined Porsche AG, his new boss asked, "What do you think our car dealerships should look like?" Zellmer was then tasked with his first major project: Run a competition to come up with a uniform design standard. The winning look is now a familiar sight to Porsche consumers around the globe. U.S. stores began converting to the curved metal-and-glass facade just after the turn of the century. And 650 of 800 stores around the globe have gone to the design, Zellmer said. Now Zellmer, 49, is charged with transforming the experience customers will have inside those dealerships. The U.S. market will pilot a global initiative aimed at making the Porsche customer experience rival all luxury brands -- nonautomotive included. "Where we have to make the difference at Porsche, to have a sustainable business model, is how people feel when they are with our brand," Zellmer said. "That's why we will put lots of our emphasis on the future experience of people with the brand, in the car but also outside the car. It has to be spectacular." In addition to the customer experience mission, Zellmer will preside over a string of new product introductions -- such as a redesigned Cayenne SUV, an all-new electric sedan later in the decade and a string of plug-in hybrids nearly across the lineup. For Zellmer, the chance to prove himself in the U.S., arguably the most important market in the world to the brand, came abruptly -- but working in the U.S. had long been on the German native's "bucket list." He was tapped for the job after the Volkswagen diesel emissions scandal led to a massive executive reshuffling throughout Volkswagen Group in the fall of 2015. He had been at his previous job, heading overseas and emerging markets, for nine months. But Zellmer had led Porsche's home market of Germany for five years before that, nearly doubling annual sales from 13,000 vehicles to 24,000 during the period. Though sales grew as the German market recovered from the global financial crisis, Zellmer also credits the growth to a heavy investment in human resources -- making sure the company and its dealerships hired the right people and trained them well. In the U.S., Zellmer has big shoes to fill. His predecessor, Detlev von Platen, in seven years leading the U.S. subsidiary, oversaw the introduction of new models and variants as Porsche's U.S. sales soared past the 50,000 annual mark years ahead of target. Von Platen, now the brand's global sales chief, also persuaded Porsche AG higher-ups to invest $100 million in a new U.S. headquarters and Porsche Experience Center in Atlanta, which opened in early 2015. A second experience center, in Los Angeles, got started on von Platen's watch. U.S. dealers are big fans. 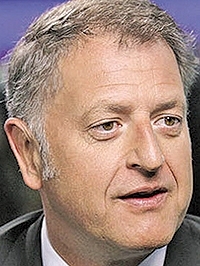 Eighteen months after the executive shuffle, dealers generally speak highly of Zellmer's record thus far. Roger Jobs, owner of a Porsche store in Bellingham, Wash., and member of the Porsche Dealer Board of Regents, said dealers are pleased with business under Zellmer. "He's very engaging, and he's a really balanced listener," Jobs said. "Klaus is very well respected by the [Porsche AG] board, and does a very good job in being able to communicate the things that will help the dealers in the United States." Zellmer has long had an affinity for the U.S. He grew up in a small village outside of Stuttgart, where his first cars were Volkswagen Beetles -- Zellmer had eight at one point. He tuned them and fixed up their appearance to sell them. At the age of 19, Zellmer bought a plane ticket to Los Angeles where he bought an Oldsmobile Delta 88. He and a buddy drove across America, ending up in New York three months later, where he sold the car for the price he had paid. He later returned to study at Northwood University in Florida. That early road trip convinced him he had to work in the car business, Zellmer said. Now he has the chance to prove himself anew in the market that he calls the most competitive in the world. "This is our testing ground," Zellmer said. "If you can make it here, you can make it anywhere. But you have to be successful in this market."